I have shared Faux Kolinsky sable and Faux Sable with you, so this third brush is a completely unique brush on its own, made from real Mongolian Sable. The hairs are shorter than the synthetic sables, and a different color, a soft gray with a dark tip. The hairs, being natural, are also finer and softer than the other sables. You couldn't get much softer unless you were going to paint with goose down. Within Dynasty's line of brushes, this sable is a natural hair brush created using hair from the Mongolian sable, doing so in a sustainable way without harm to the animal or environment. FM Brush supports the fight against animal testing and uses wood for the handles in all brushes from wood reforestation programs. If you are looking for a brush with natural hair, soft and suitable for watercolor, gouache or casein and oil, this is your brush. 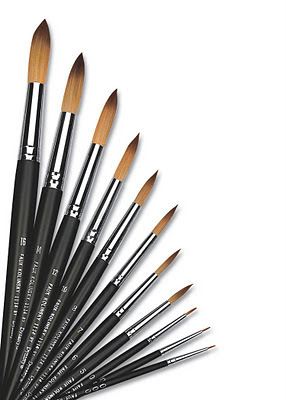 These brushes are all long handled, intended for the painter working on an easel or en plein air. 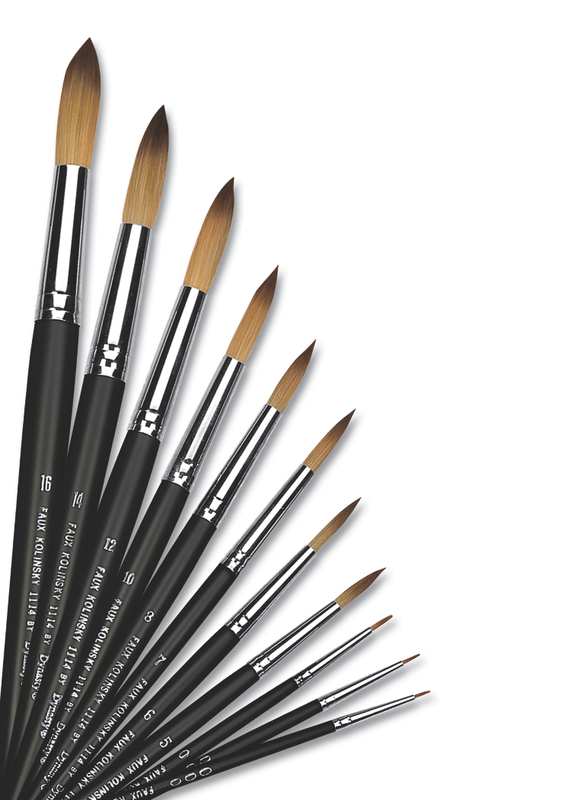 They work ideally with buttery oil paints or detailed watercolors, coming in brights, rounds, angles, fans and filberts. I have found that the fan brush in particular is ideal for soft blending, similar to using a light badger hair brush. For a complete look at the origin of sable and the animal itself, take a look at this 2011 post: What is sable?